The Joint Civils Division has done it again........! 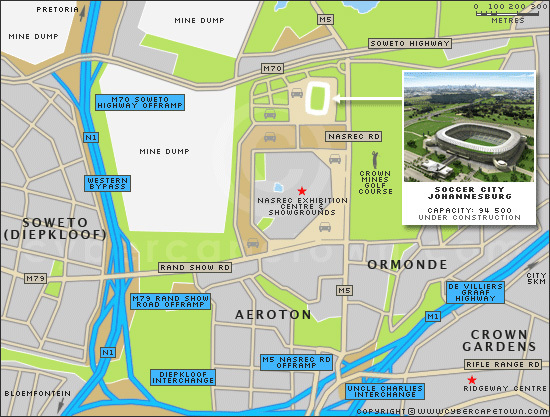 We have arranged a site visit to the stadium where the 2010 World Cup Final will be held - Soccer City in Johannesburg. This is an incredible opportunity to see how one of the world's biggest stadiums is constructed. The site visit will take place on Friday 9 October 2009 from 15h00 to around 17h30. Please wear hard closed shoes (takkies are OK! ), long trousers and NO SKIRTS! There will be hard hats and bibs etc available on the site. Mike Moody, the Project Director for Grinaker-LTA/ Interbeton Soccer City JV has kindly offered drinks and snacks for after the visit - thank you! There is a limited number of places for the site visit, so do it now! First come - first registered! 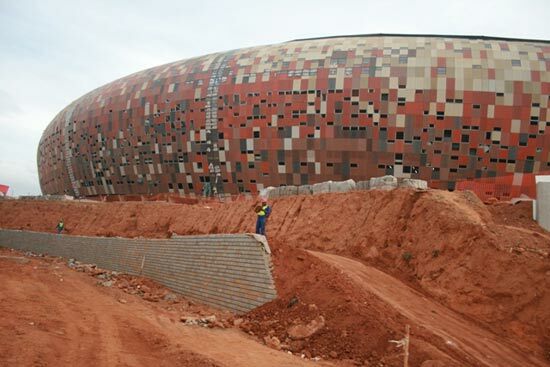 As venue for the opening match and the 2010 Fifa World Cup final, Soccer City will be the focal point of the tournament. The Stadium, a classic, two-tiered bowl set on a spacious site south-west of the Johannesburg city centre, will stand as the cherished symbol of South African football's boom in recent years. It was constructed in 1987, becoming the country's first world class stadium solely dedicated to soccer. Soccer City accommodates the Safa offices and hosts most of the country's major soccer occasions: prime internationals featuring Bafana Bafana, impassioned derby matches between the giants, Chiefs and Pirates, and most Cup finals. For 2010, the upper tier will be extended around the stadium, an encircling roof will be constructed, a new changing room complex will be developed, and new floodlights will be installed. It can seat 94 700.